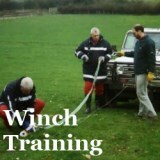 MTF are specialists in all aspects of 4×4 training, from initial familiarisation courses through to off-road driving in extreme terrains, winching and recovery. 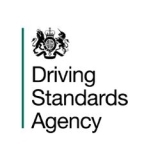 Designed to fit into driver training and occupational road risk programmes, our courses, whether they’re on or off-road are all carried out by professional DVSA Approved driver trainers. 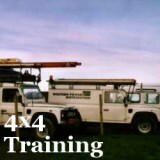 Our 4×4 qualifications and experience ranges from Health and Safety courses such as the Lantra-Awards 4×4 Off-Road Driving certification through to trialling and overland expedition training. 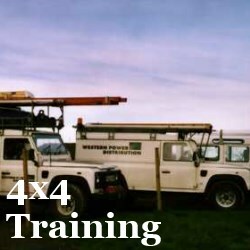 We run PUWER compliance training and occupational road risk assessments for major contractors and utility companies across the whole of the UK with Beyond 4×4, of which we are a key member. 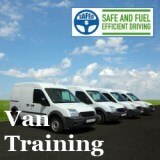 Bespoke courses can be designed around your requirements, your vehicles and your equipment. 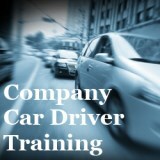 This ensures that your training is fully compliant with current legislation, as well as providing solid, practical skills and experience to your drivers. Ever watched channel 4's hit reality TV show SAS: Who Dares Wins and fancied testing your physical and mental limits to see just how far you could go and experience for yourself how difficult the interogation phase is? On Friday 16th March at 0900hrs until early Sunday 18th March we will be holding a weekend SAS: Who dares wins competition fundraiser and all money raised will be supporting 4 projects in Africa that safe children off the street. #16 Jonny Davis and #10 Matt Salis recreating a broken down version of the brutal and unforgiving process. The only thing stopping you from reaching your goals and dreams are your limits. It’s when you meet your limits that you feel resistance and things you want seem harder to achieve. Whether it is fear, doubt, physical abilities or some other mental block, it can present a huge barrier for you. We will create similar physical and mental challenges that we faced and and push you to limits you never thought possible. Unfortunately most people can’t work past their limits and give up. So how far you get in reaching the end is very dependent on how good you are at overcoming this obstacle. Fail to push past your limits and you will not make it. Work through them and you can make any dream or goal a reality. It is not about who is the fittest, believe me out in the jungle I watched extremely fit, strong men give up because they couldn't control the demons in their mind. You might not be the fittest....but are you mentally the toughest? Can you keep going when it gets tough and all you want to do is quit? Are you a good team player? Come and find out! the process will be tough we want everybody to reach their limits and go beyond them, that is where the real magic happens. You will make great friends and have to rely upon each other , when you go through something like this with a group of peole you end up with a bond for life I can honestly say the time I had in the jungle and the people I met, has changed my life completely. The Competition will last 3 days on a stunning retreat in Cornwall called 7th rise right on the river Fal surrounded by forrests, hills and rivers. Do you think you have what it takes to be the last man or woman standing? Or will there be more than one!? The cost to enter the competition is £275.00 for the whole weekend! Secure your place now with a £50.00 deposit and the final balance due 4 weeks before the event. (Inluded in the price is accommodation, food, snacks, water and your competitor medal, every body needs a medal to remember their accomplishments although you won't be forgetting this anytime soon! The winner (s) will receive a special winners medal and unique prize. All the money raised from this fundraiser will be split between 4 projects that save children off the streets in Uganda, Saved on street in Kampala and luwero, Nyumbani ya watoto in Kyebando and a project in Gulu.